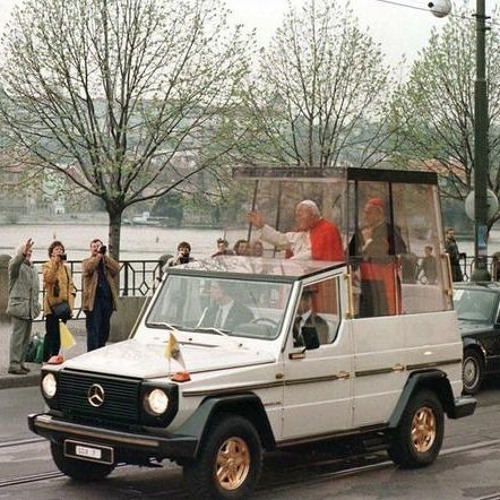 In AMT367: the Pope goes for a drive, Dustin Hoffman goes for a walk, and a listener stands in a queue at Epcot. Find out more about this episode at http://answermethispodcast.com/episode367. Send us questions for future episodes: email words or voice memos to answermethispodcast@googlemail.com. Tweet us http://twitter.com/helenandolly Facebook http://facebook.com/answermethis Subscribe on iTunes http://iTunes.com/AnswerMeThis Buy old episodes, albums and our Best Of compilations at http://answermethisstore.com. Hear Helen Zaltzman's podcast The Allusionist at http://theallusionist.org, Olly Mann's The Modern Mann at http://modernmann.co.uk, and Martin Austwick's Song By Song at http://songbysongpodcast.com. Helen and Martin are touring the Allusionist around the US and Canada over the next few weeks: http://theallusionist.org/events Squarespace! Want to build a website? Go to http://squarespace.com/answer, and get a 10% discount on your first purchase of a website or domain with the code 'answer'. Nancy is wrong. dogs are wonderful. the correct solution is for her to change her views and accept that dogs are wonderful.